Hey guys. 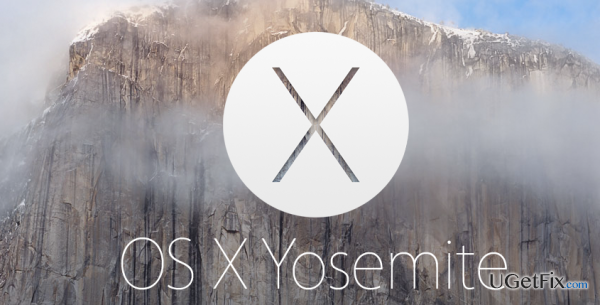 I’m immensely enjoying OSX 10.10 Yosemite on my Mac but I would like to know is there a way or some tweaks to boost its performance? As in the case of any other device, if you want to have your Mac in perfect operating order, you must take proper care of it. In this article, we will present various useful tips that will enhance your experience and ensure that you can take advantage of the best your Mac can offer. In order to perform most of these adjustments, you should be able to access System Preferences. You can do it by clicking on the Apple logo at the top left corner of the screen and selecting System Preferences. 1. Go to System preferences and select Energy Saver. * Set the Computer sleep slider to Never. 1. Go to System Preferences and select Network. 2. Click on Wi-Fi on the left hand sidebar. 3. Click on the button saying Turn Wi-Fi Off. 2. On the left sidebar, select FireWire/Built-In FireWire/Thunderbolt FireWire. 3. Choose the drop-down menu for “Configure IPv4″ and select Off. 4. Press Apply and restart your Mac. If you optimize your computer with this tweak, it will allow your hard drive to work more efficiently and prevent the occurrence of DAE Error -9035 (Pro Tools). 1. Go to System preferences and select Security & Privacy. 3. Find the line “FileVault protection is (on/off) for the hard disk…” and turn it off. You can successfully disable Automatic Updates. If you need some update, you can update your Mac manually by clicking on the Apple menu and selecting Software Update option. 1. Go to System Preferences and select App Store. 2. Uncheck the box called “Automatically check for updates”. While sometimes App Nap is a handy application, you should keep in mind that App Nap treats every hidden app as ‘idle’ and might disable them which may have some negative effect on your system’s performance. This may happen because it can disable some apps which are running in the background. Therefore, you should disable it. 2. Select the App for which you want to turn off the App Nap. 3. Right-click the app and select Get Info. 4. Under General in the Info window you will find the option to disable the App Nap. Make sure that nothing is hidden from Spotlight as it indexes Workbase database search operations. Therefore, it should access all drives. 1. Go to System Preferences and select Spotlight. 3. There should be no drive on the list. 4. If you find any, highlight every one of them and click the minus (-) button below to remove it. If you are in the middle of some processes or work and Sudden Motion Sensor is turned on, it will temporarily stop the hard drive from spinning in order to protect your computer against the damage if it is suddenly moved. 1. Double-click the Macintosh HD icon on the desktop. 2. Open Applications folder and then Utilities folder in it. 3. Double-click on the Terminal. 5. Provide your administrator where it is needed. 6. Type sudo pmset -g in order to check whether it has been applied. 1. Type sudo pmset -a sms 1 and click Return (typing in ‘1’ will enable it again). 2. Provide your administrator where it is needed. 3. Type sudo pmset -g in order to check whether it has been applied. Here you go! We hope that you have found these tips useful and your Mac is now in perfect operating order. You can also optimize your system by using a high-quality system optimizer like MacKeeper or MacBooster.